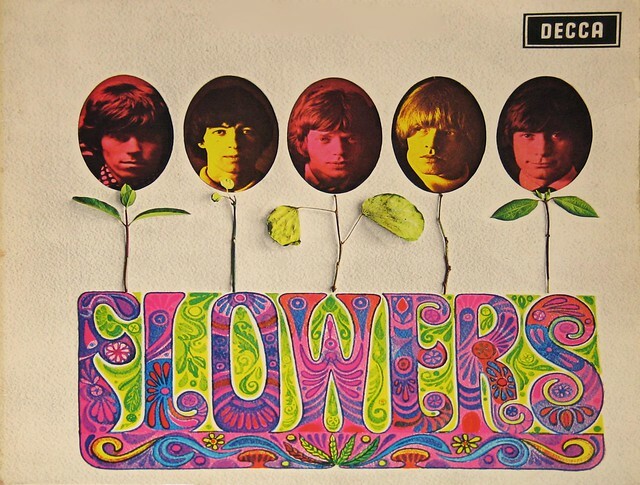 "Flowers" is an American compilation album by The Rolling Stones, released in 1967. 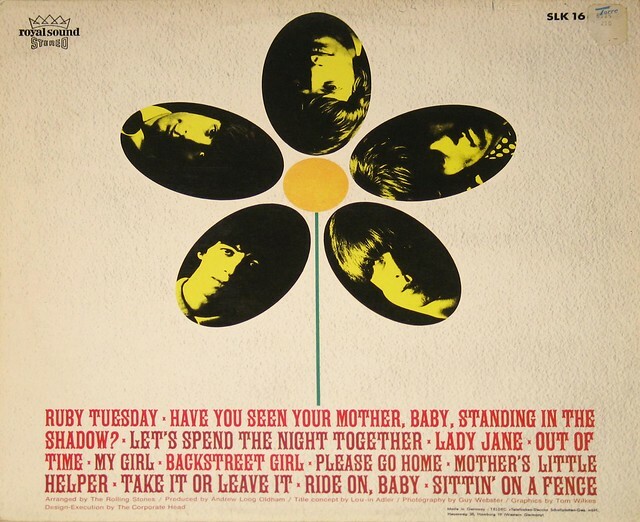 The songs either appeared as singles, had been omitted from the American versions of Aftermath and Between the Buttons, were collected from studio sessions dating back to 1965, or are reissues of songs recently released on other albums. Three tracks had never been released. "My Girl", "Ride On, Baby" and "Sittin' on a Fence" are from the Aftermath sessions from December 1965. 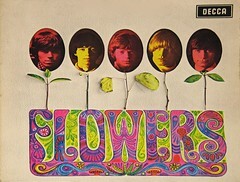 The title refers to the album's cover, with flower stems underneath the portrait of each band member. Bassist Bill Wyman claims that Mick Jagger and Keith Richards deliberately arranged the stem of Brian Jones's flower so that it had no leaves, as a prank. The portraits are from the British version of Aftermath. Produced by Andrew Loog Oldham. Title concept Lou-In Adler. Photography Guy Webster, graphics Tom Wilkes.